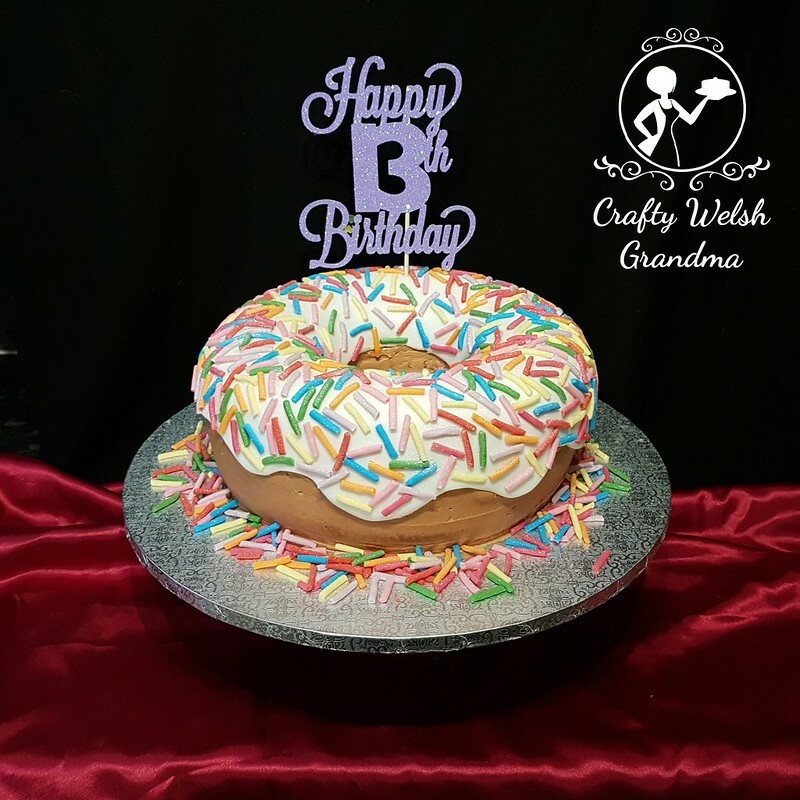 A ten inch doughnut cake for my Niece's birthday, commissioned by her mum. 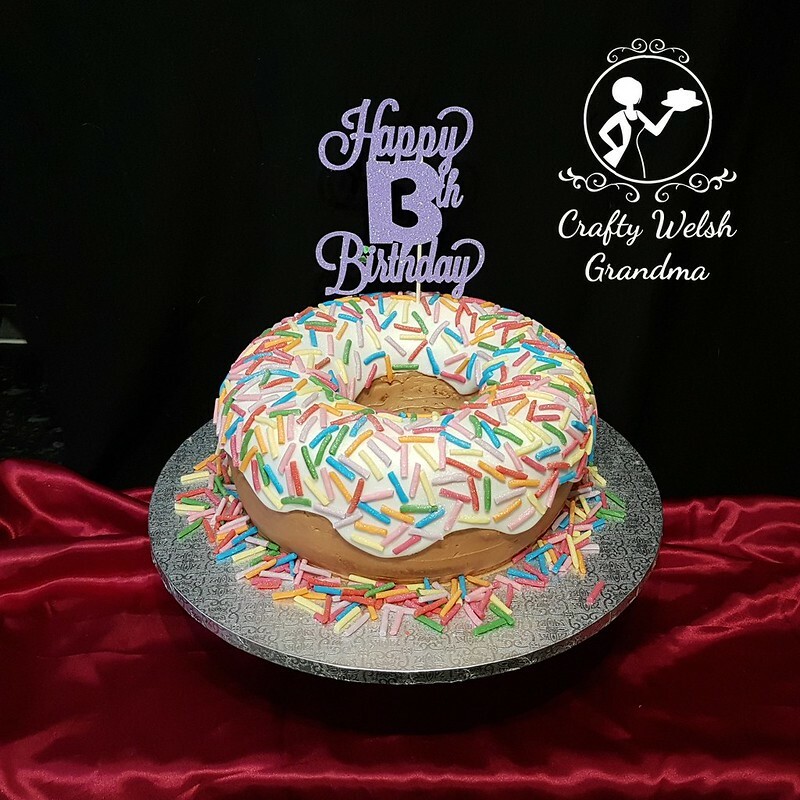 Topped off with hand-cut hundreds and thousands / sugar strands - but from fondant. 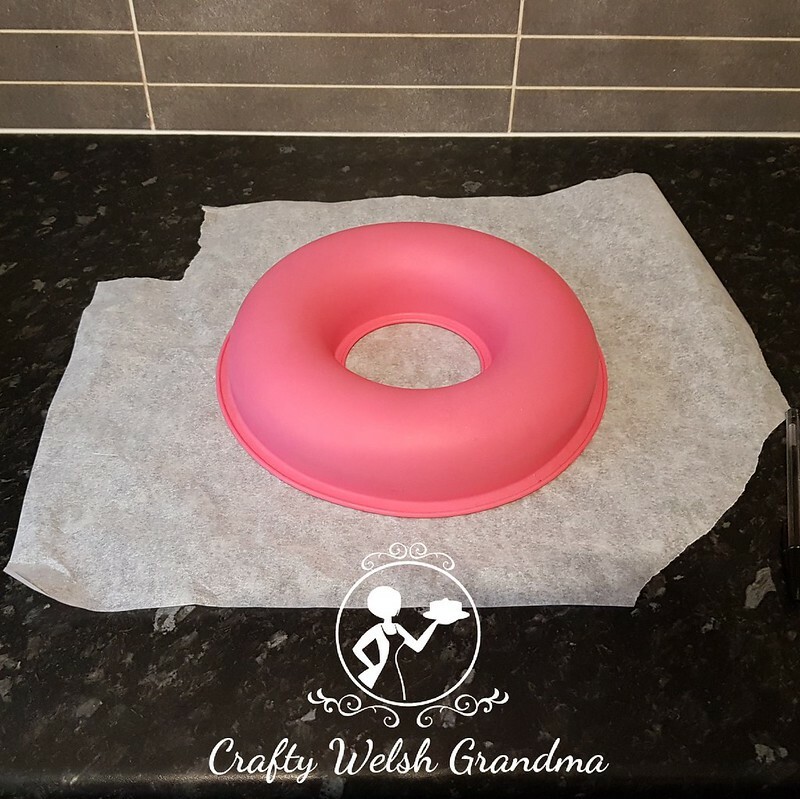 If you're planning a doughnut cake of your own, read on as I will show you how I cut the fondant for the 'icing' on the top. 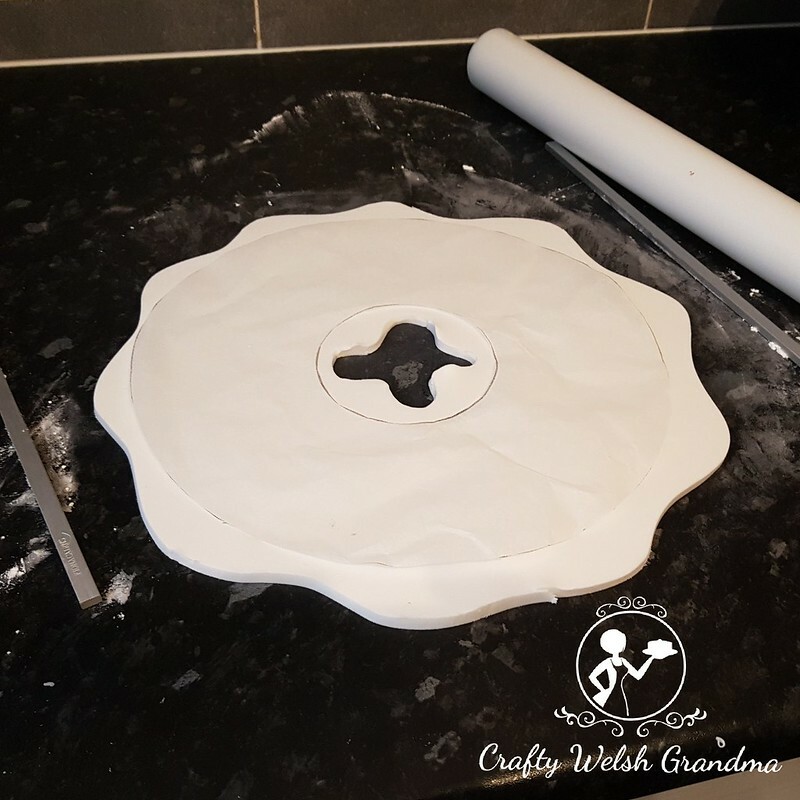 I'm not a big fan of silicone baking mould / tins, but this is what I used here. This cake was a one-off and I didn't want to buy a ring cake tin for one cake. 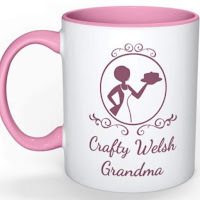 You can, of course, bake this in a standard tin, shape it yourself and cut a hole with a large round cookie cutter. For this 10" cake, I used two mixes of my vanilla cake mix, one mix for each half. After trimming off the humps, I sandwiched it together with plain, vanilla buttercream coloured with Sugarflair chocolate food colour gel, I didn't use any other flavour except vanilla, my Niece's favourite. I used double the recipe of the buttercream also. Once crumb coated and chilled, I added a final, thin layer, of the same buttercream and chilled it again. Now for the fake 'icing' that every ring doughnut shouldn't be seen without. Using the tin you cooked the sponge in, draw around it. If you've used a ring tin, draw around the centre hole whilst still in place. 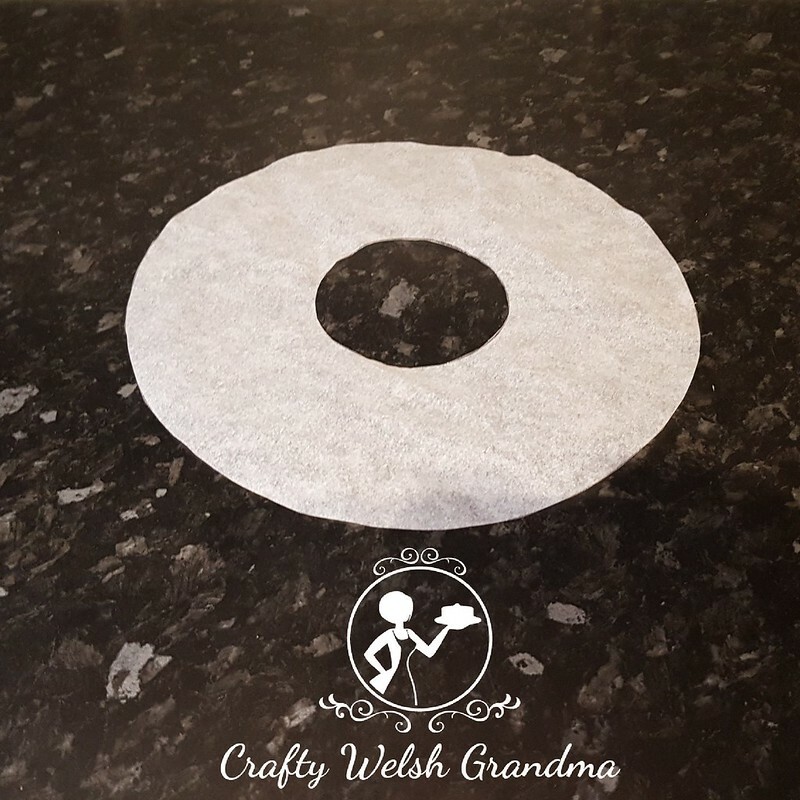 If you've used a standard round tin and a cookie cutter, draw around the cookie cutter, making sure it's in the centre of your outer circle. 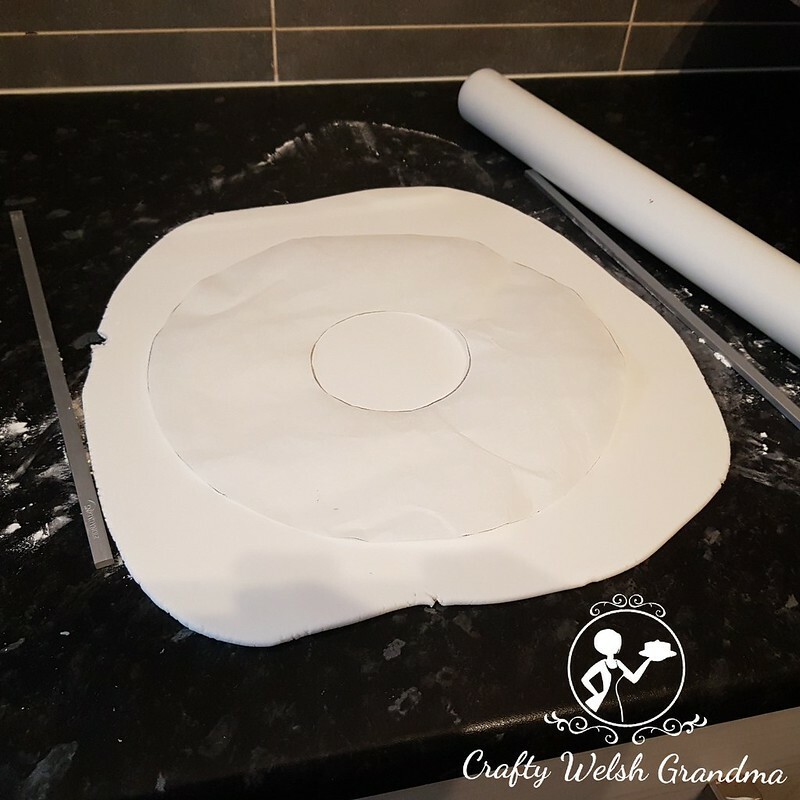 Once cut out, roll out your fondant so that your template fits. Place template on top and cut a wavy shape around, and on the inside of your template. Use your fingers to smooth off the sharp, cut edges around the piece before placing on top of the cake. Then, place on the top of your cake. 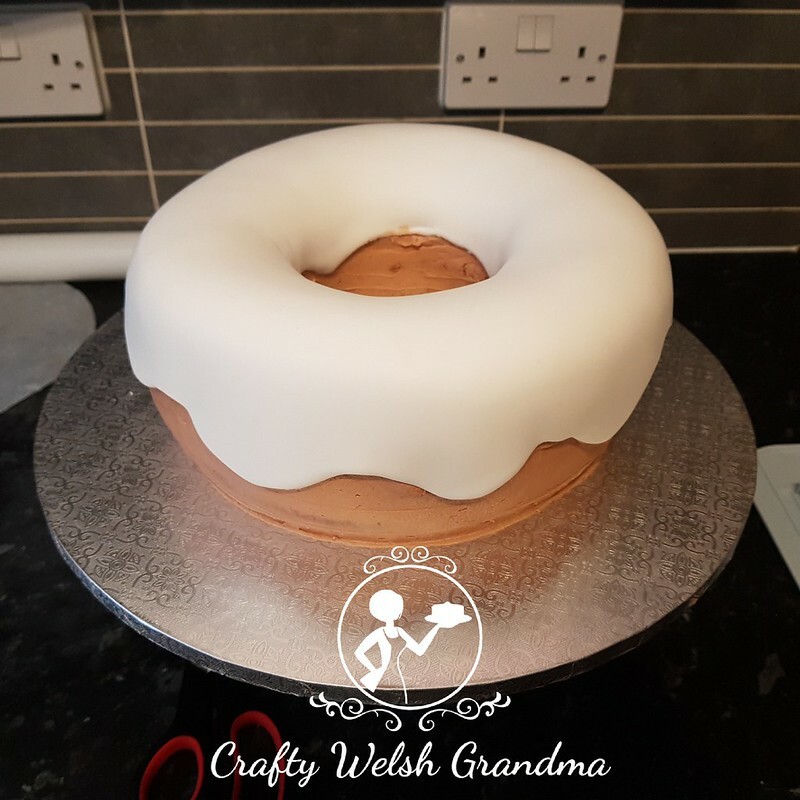 Gently smooth the icing down into the middle of the hole and down the outside. Now for the sugar strands. It's hard to find large sugar strands so I made my own from fondant. 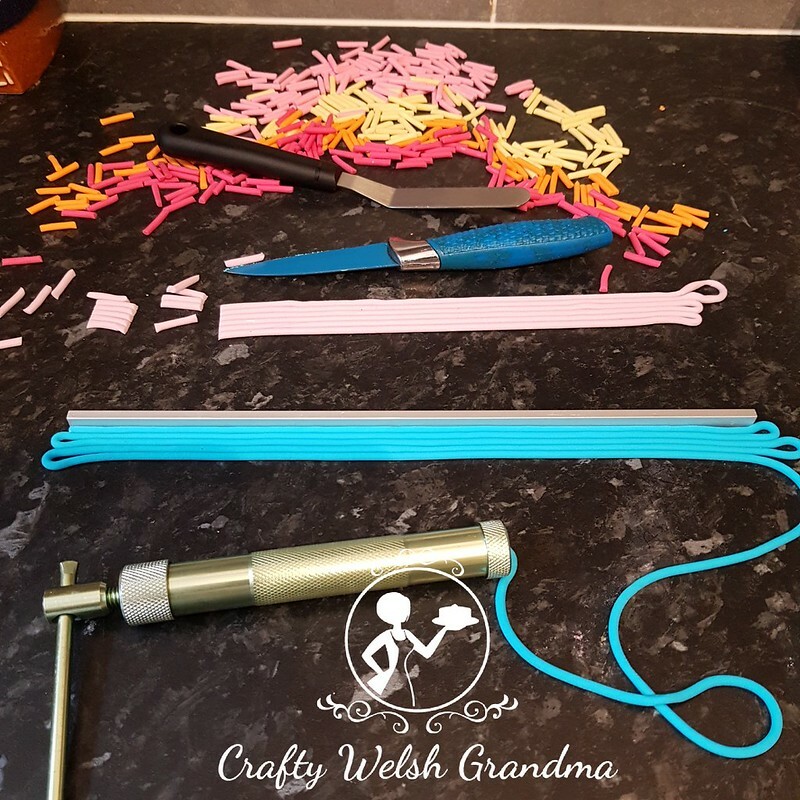 Using a clay extruder, extrude the colours you require. 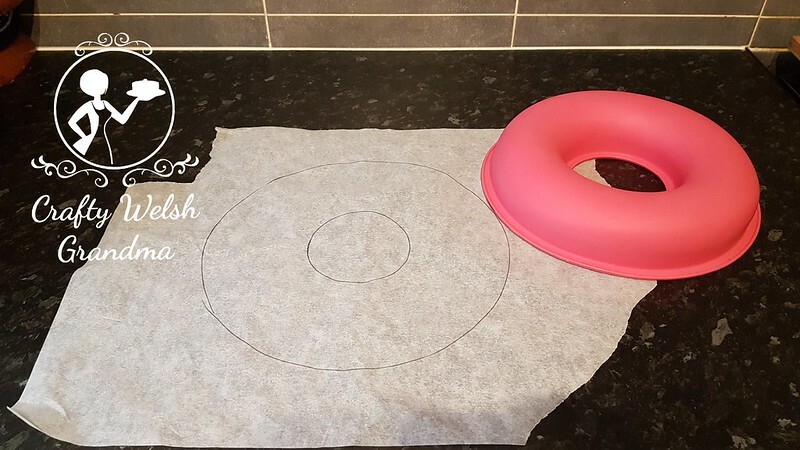 If you don't have a clay extruder, you can roll your fondant into a thin sausage shape. 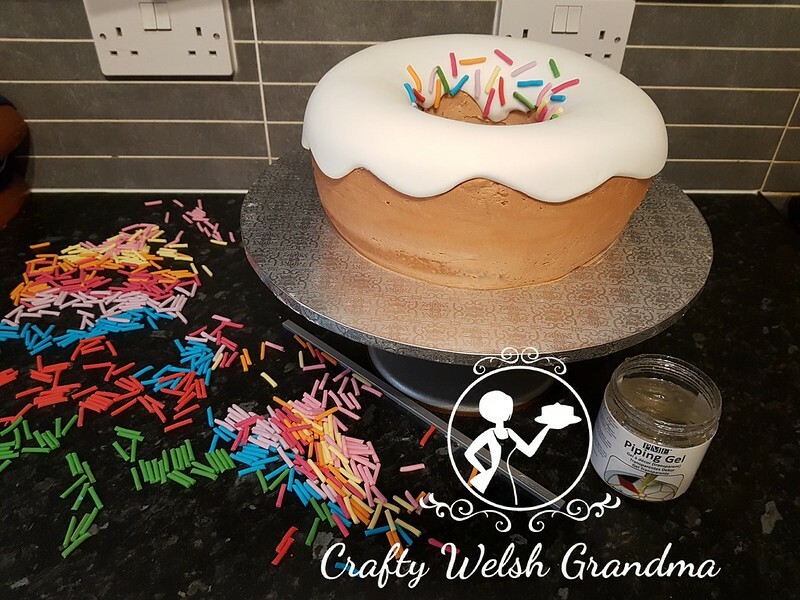 Allow to dry some more before adding to the cake. This was, by far, the hardest part for me as I ended up cutting oodles of these fake sugar strands! 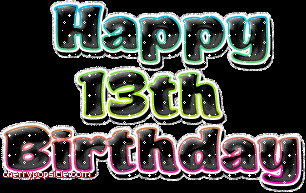 Affix, to the icing portion of your cake only, using either a little water, edible glue or, like I have, some clear piping gel. I tried to be as random as possible, but I ended up seeing patterns forming, so I stopped for a coffee before completing. 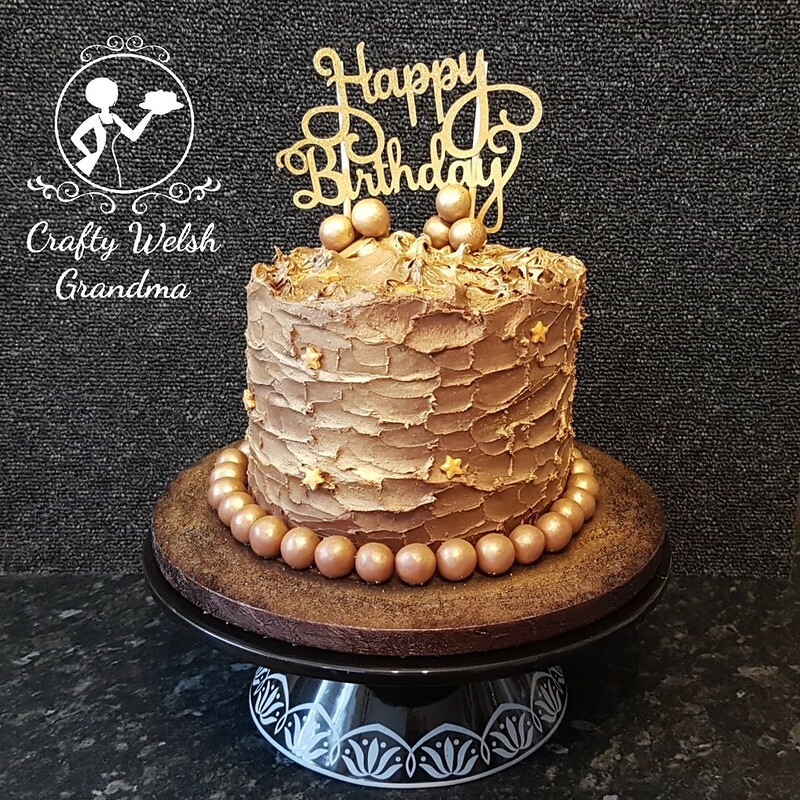 I sprayed the cake with some clear glaze to simulate the shiny icing bit on the top and sprinkled with some magic ... silver, edible lustre dust.